What Grade-School Report Topic Were You Obsessed With, And Maybe Still Are? Children are obsessive types. I knew more about dinosaurs as a 7-year-old than I will ever know about anything ever. But sometimes, an assignment latches onto our sponge-like little brains and never lets go. For reasons that aren’t worth going into (OK, fine, it’s because Trump here sounds like a kid who just learned a lot about oceans and can’t wait to tell everyone), the staff got to talking about elementary school reports we did back in the day, and how we all had topics we’re still obsessed with. Mine was hyenas. I took that assignment seriously, going to the library to photocopy old issues of National Geographic for photos of them to literally cut and paste into my paper. (This was before we got a computer.) 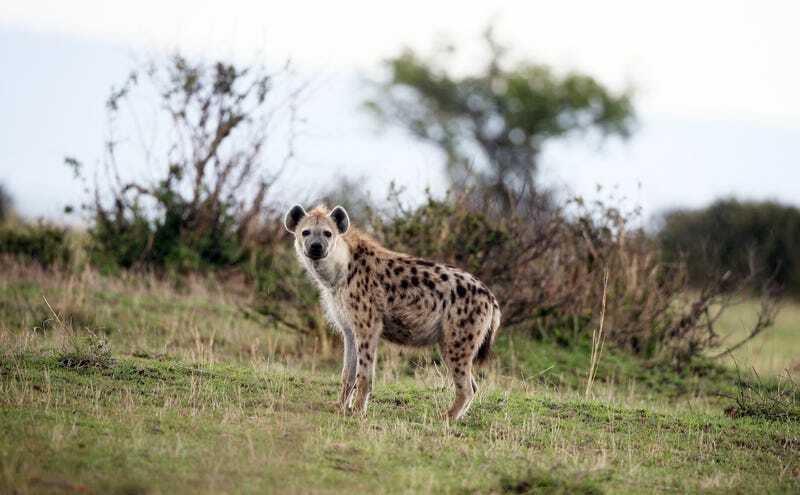 I would buttonhole my friends and teachers to defend the honor of hyenas, who get a bad rap as scavengers but actually have their kills stolen by lions way more often than the other way around. I still have a soft spot for hyenas now, some 25 years later. I asked this question on Twitter and am getting some excellent responses. But now I put it to you, the Deadspin commentariat: What grade-school report subject still occupies a prominent place in your brain today? And, if you would, share with the class a fun fact about it. I’ll start. Did you know hyenas are more closely related to cats than dogs? What&apos;s The First Big News Story You Were Aware Of As A Kid? What&apos;s The Best Possible Animal Army In A Battle To The Death? If You Could Change The Outcome Of One Play, Which Would It Be?